Cheap Muffler VS More Expensive Muffler. Sometimes you have to spend a bit more to get a lot more. When it comes time to replace a component in your vehicles exhaust system it is best to spend a little more. Why? 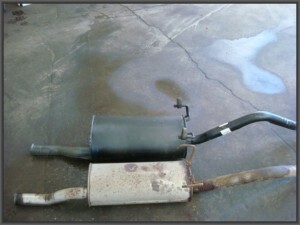 If you want to replace your muffler or other component with the cheapest you can find, so be it. You might just have to replace it again in about a year or so. If you spend a little more you will get better baffling in the muffler and your car or truck will sound as close to original as possible. 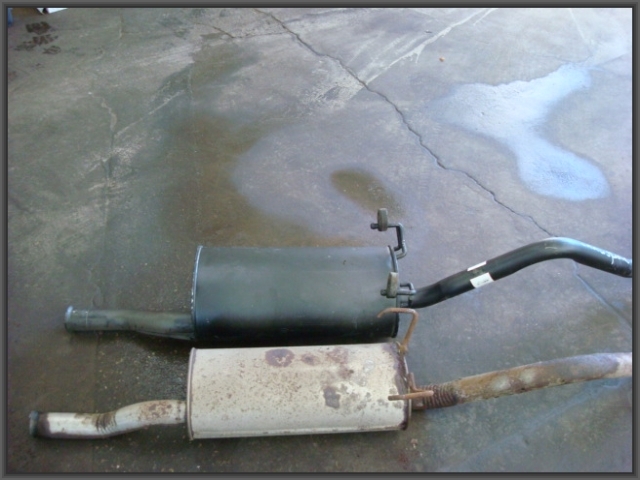 Notice in this picture the new black muffler compared to the old rusted one. The black muffler is much the same size that came from the factory, and should last much longer than the previously replaced muffler. So before you bend over a dollar pick up a dime, spend a bit more now to get your exhaust system fixed right the first time. 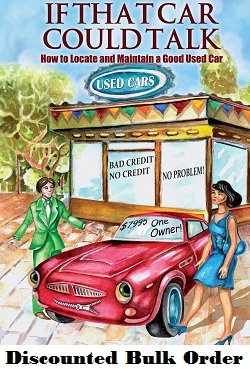 « Bill G. Asks: Why Do Brake Lines Cost So Much To Replace?